Getting good sleep in a dorm is tough, but not if you have the best college mattress topper. We developed DormTopper to give students the sound, rejuvenating sleep they need to perform well in school, so find out what makes ours better than other mattress toppers and order yours today! What Makes DormTopper the Best College Mattress Topper? Research shows that better sleep means better grades. In fact, 72% of college students have admitted to getting bad grades due to inadequate sleep. But it’s understandably tough to sleep in college while you’re studying all night, your roommate’s making noise, and — most of all — you have a lumpy dorm mattress.You can make adjustments to help you deal with some of these issues (like telling your roommate to keep it down, studying earlier, taking naps, etc.) but chances are your body will never get used to an uncomfortable, germy mattress. That’s where DormTopper comes in. Silky bamboo fabric that’s ultra breathable and antibacterial — bye bye germs! Pure New Zealand wool that wicks away moisture to keep students from waking up sweaty. It’s also hypo-allergenic and mold and odor resistant! Dense soy-based gel foam that makes even the hardest mattress soft. And we only use foam that’s safe for your health and the environment! It’s super important to have a college mattress topper that’s the same size as your bed, or you’ll end up with your feet or head hanging off of it. And if you’ve ever had a mattress pad that won’t stay on the corners of the bed, you know how annoying it can be. DormTopper is available in both twin and twin xl sizes so you don’t have to mess with those adjustments, and also has straps on all four corners to hold it in place all semester — thank goodness! Students who wake up early are proven to have 15% higher GPA than those who stay up all night. So if you head to bed earlier and are able to sleep soundly (trust us — with DormTopper you will), you’ll increase your chances of better success in college which will lead to a great job after graduation. It may seem like a long time away, but every grade counts when it comes to your future. Get the Facts! 85% of college students do not get the recommended amount of sleep! 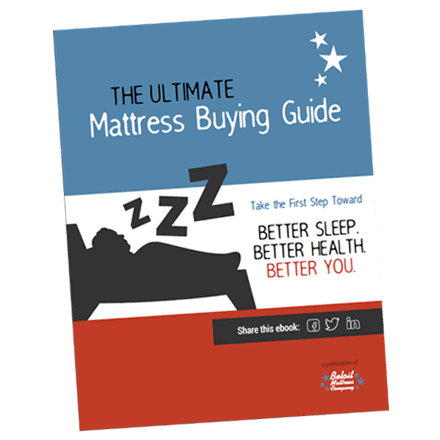 Order the Best College Mattress Topper Before You Fall Behind! We want you to enjoy a fun-filled and prosperous college career. If you study hard, stay healthy and sleep well for the next few years, you’ll be setting yourself up for big things to come. So order your DormTopper today to have it shipped straight to you and start sleeping better right away!